IAN committee from left to right Nehal Mehta,Amit Kumar, VP Srivastan Pallavaram, Preeti Kumar, IAN President Hetal Mehta,Shalini Dixit, Rajni Gupta,Sujana Sawhney, Pranjali Chattopadhyay,Poonam Patodia, Atul Malhotra, Pravin Lokhande. 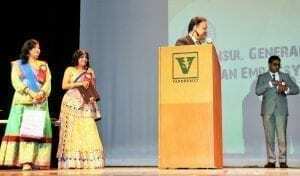 The local community celebrated India Day on Aug. 21 at the Vanderbilt Langford Auditorium. The festive event was hosted by India Association of Nashville with 1200 attendees. “It was such a joy to see the community come out whole heartedly to celebrate India Day. 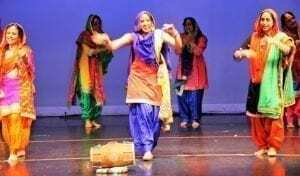 We were thrilled to have a variety of performances including Indian classical dances, folk dances, Bollywood theme dances, musical instruments and vocal performances.”, stated President Hetal Mehta . Atlanta Consulate General of India Nagesh Singh addressing the audience.